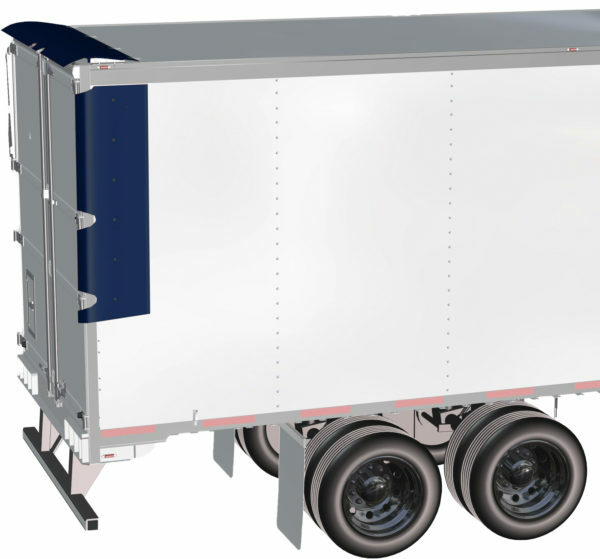 For years, the engineers have been researching ways to make trailers more aerodynamic. You can now take advantage of our hard work. Your investment in our technology will lead to fuel efficiency savings of 4-6% on a 53’ trailer with typical, long-haul operations with no driver interaction. Named as an HDT Top 20 Product for two years and as recently as 2017, our TopKit Aero System is an innovative way to reduce drag without add-ons that possibly interfere with loading docks or intermodal operations. Plus, the TopKit is priced very competitively with side skirts. With lower fuel costs, our systems pay for themselves fairly quickly. Our technology appeals to a variety of leaders in the trucking industry such as owners of trucking companies, leasing firms, trailer manufacturers, and owner-operators. Everyone is turning to solutions over other trailer aerodynamic systems. Our TopKit Systems improve fuel economy by as much as 4-6% or more. When you look at reducing your fuel consumption by that much, our systems begin to pay for themselves. Saving on fuel simply adds to bottom line, and that’s just good business. This system is verified by EPA’s SmartWay Program and therefore accepted by C.A.R.B. in California. Our Aero solutions have no moving parts, and there’s nothing required from the drivers. Plus, there’s no regular maintenance required after installation. Our components do not obstruct vision in any way or access to the undercarriage for pre-trip inspection or maintenance. They also don’t block the airflow that helps to cool brakes and bogie components. Our aero components are sleek, cutting-edge designs that enhance the look of your trailer and primary components come in a wide array of available colors.